Is stress the main cause of your tiredness? Learn about causes of tiredness, treatmens, supplements, and self-care tips for regaining your energy. Feeling Tired? You're Not Alone. These days, it seems like everybody's tired. In fact, at this very moment, 25% of people on this planet struggle with chronic tiredness, and no less than 10% of all visits to the family doctor are due to fatigue. Tiredness is spreading like an epidemic and most people have no idea what to do about it. If you're one of them, we're here to help you. Getting enough nutrients from food is essential for staying healthy. 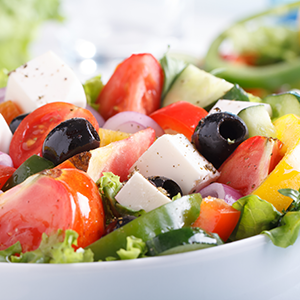 Learn which foods contribute to fatigue and what to eat for optimum energy. Chronic fatigue syndrome affects all aspects of life. 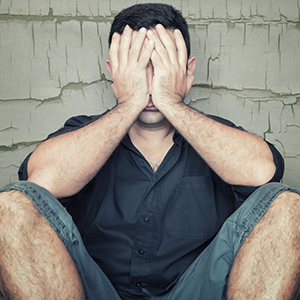 Discover the symptoms of CFS and ways to manage this debilitating disease. Your lifestyle can significantly influence your energy levels. 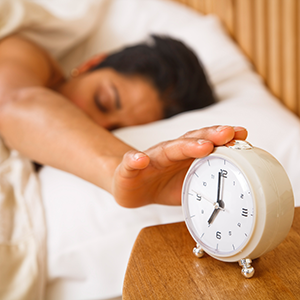 Find out which lifestyle changes to make to alleviate tiredness. If you want to get rid of tiredness, you must first learn what is causing it. 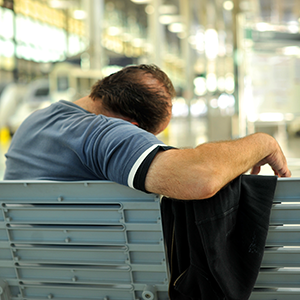 Learn about all the usuall, but also little-known causes of tiredness. Supplements for fatigue include essential nutrients, such as vitamins and minerals, aminoacids, herbs, hormones (must be taken only under medical supervision), and more. A number of medical conditions and prescription medications can lead to tiredness. Find out how to diagnose them and which treatments are available. Long term stress puts continuous pressure on your adrenal glands. Effective stress management techniques, proper nutrition, and rest can help your adrenals to recover. Sleep disturbances are among the most important causes of fatigue. Find out ways to improve the quality of your sleep and learn which herbs and remedies help with sleep disorders. Dehydration and tiredness are deeply related. What are the benefits of good hydration? How much water should you drink and when should you drink it? Magnesium is crucial for good health and excellent energy. What are the symptoms of magnesium deficiency and what is the best way to increase your intake of magnesium? The adrenal glands (a small pair of walnut shaped organs sitting on top of the kidneys) are crucial for health and well-being, yet the stresses of modern life frequently deplete their energy. What are the causes and symptoms of adrenal fatigue and what can you do to help yourself? Depression and fatigue often go hand in hand. What are the symptoms and causes of depression and what are the best treatments for it? If you are suffering from chronic tiredness, it is really helpful to understand what should happen during each stage of sleep. This way you can ensure that you get the rest you need and take appropriate measures to enjoy high quality, refreshing sleep. One of the most difficult issues surrounding fatigue is the “why” of it all. If you’re suffering from constant tiredness and wondering what might be causing it, this article is for you. If you are struggling with persistent tiredness, there are a number of supplements that can help. 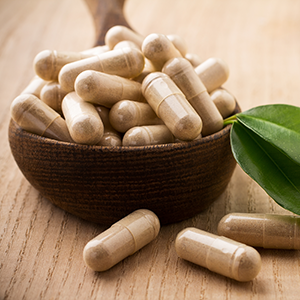 Inside this article, you'll find a review of 10 popular supplements for low energy. Several supplements are formulated specifically for adrenal recovery. We've reviewed 7 of the most commonly used adrenal supplements, so you can decide which one might be best for your needs. Adrenal fatigue is a syndrome that few medical professionals seem to really understand. Fortunately, there are many books on the subject that can help patients to become better informed about how their adrenals are affecting their health. 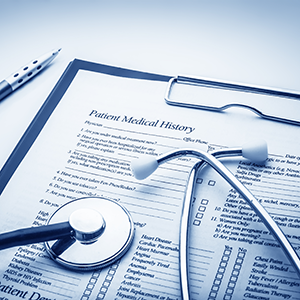 Fatigue patients who are having difficulty understanding their condition can often benefit from learning more about their ailment and its treatment. Fortunately, there are a number of great books out there that offer help for those suffering from Chronic Fatigue Syndrome. The adrenal diet has been the topic of much discussion, but most people lack awareness about how to implement it. Fortunately, there are some useful books on the topic. When it comes to tiredness, there is no shortage of information on the topic. Here are some of the many literary works dealing with the issue. Adrenal fatigue is a complex syndrome that can involve months of recovery time. Learn how you can get better with dietary changes, stress relief, supplements, adrenal cell extracts and more.